Churches seldom deal with institutional loans, and there are few resources available to equip churches through the process. In fact, many church leaders must rely solely on personal experiences with home mortgage loans to guide them through the church loan process. While there may be some similarities, church loans can vary drastically from individual or household loans. If your church is considering – or in the midst of – taking on a church loan, here are seven important factors to consider. 1) There is a balance between too little and too much space. As your church grows, you may ask, what size of a building do we need given our weekly worship attendance? This is not a one-size-fits-all formula. Churches are varied and unique, and their individual approaches to finding the perfect space will be as well. Generally, the key factor in determining what size building a church should acquire or build is the rate at which the church is growing. If your church’s worship attendance has remained the same for about three years and is seeking a new property, we suggest finding a property that seats at least 15% more than your average weekly attendance. This will allow some room for growth and holds little risk in the long run. If additional growth does occur, extra services could be added to maximize the current space. If your church is experiencing slow, steady growth (about 5-15% growth in attendance each year), we suggest finding a property that seats 25% more than your average weekly attendance. This will maintain the appearance of a healthy congregation and leave your church with adequate space for future expansion. If your church has been experiencing robust growth in attendance for 3 or more years (growth in attendance greater than 20% each year), we suggest finding a property that seats 30-50% more than your average weekly attendance. Although a growing congregation it is not always guaranteed, it is important that reasonable accommodations are made for the potential future growth. 2) “If we build it, they will come” should not be the rationale for a building project. Oftentimes, a church’s leadership will adopt this mantra when planning for a new church property. However, it is not always wise to assume that growth will automatically generate from a newer, more appealing, or bigger building. Instead, churches should look at the growth rate that has occurred in the past three years to gauge whether they are likely to continue growing upon acquisition of a new property. If attendance growth has been 20% or more each year, it might be fair to assume that growth will continue, and even increase, upon entering a newer or bigger building. 3) Your proposed annual debt payments should not be more than 30% of annual undesignated tithes and offerings. After paying required loan payments, a church should have a substantial portion of its budget remaining (about 70-75%) to cover operating, ministry, and missions expenses. Use this mortgage calculator to determine what your mortgage payment would be for various loan amounts. 4) Banks and architects don’t always have the church’s best interest in mind. Talk to more than one prospective lender to see what a healthy amount of debt is for the church. Sometimes the best way to steward the church’s money is to go with a more conservative amount of debt. Because loans are a 15- to 20-year commitment, ensure that the leadership has adopted a long-term mindset and has given thought to congregation’s giving ability in the future. 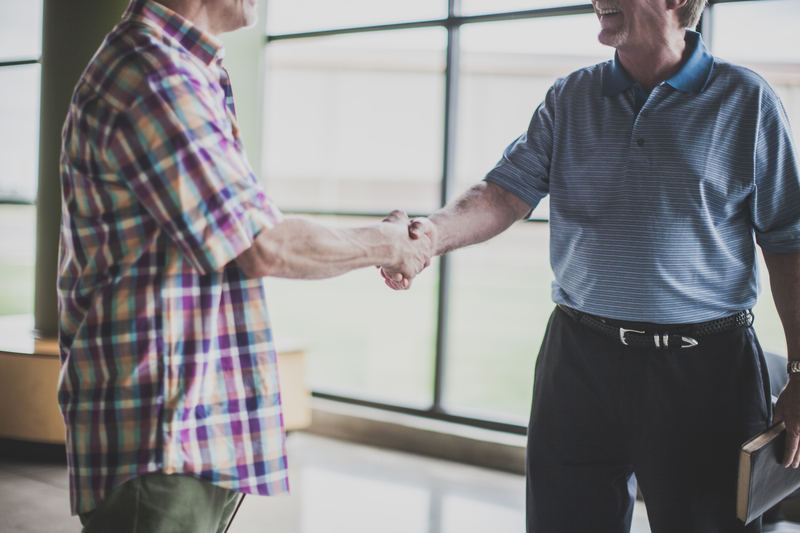 Consider choosing a lender that specializes in church loans, including a denominational lender, a permanent church fund, or another non-profit lender. Many of these types of lenders will offer long-term notes and, more importantly, care about the ministry of the church. Be aware of balloon notes. These loans are commonly-used by banks and require the church to refinance the debt every three or five years. Refinancing can be costly and may involve having to find new lender. Many banks do not offer long-term notes for institutional loans. Before talking to an architect, ask your prospective lenders for a borrowing capacity. Then relay this borrowing capacity to the architect so that he or she knows the cost boundaries to remain within. Pray for wisdom and a humble spirit when planning for a new building. 5) It is wise to seek congregational approval of church loans and church projects before making a decision. Church loans are ultimately repaid through the tithes and offerings of the church membership. Therefore, it is wise to secure approval and support of your church members when taking on debt as a church. 6) Be prepared to adjust your budget to accommodate for the church’s loan payments. Most lenders will want to ensure that the church leadership has budgeted for the loan payments. It is not always appropriate to simply budget for an increase in tithes and offerings in order to cover the debt service. Therefore, if the budget surpluses in the past three years would not have been enough to make the loan payments, it is advised to sit down with the leadership and determine what expenses could be reduced in order to make the loan payments. Today’s strongest churches are dedicated to supporting the global Church, not just the local church. It is important that a church manages its budget well, so that it can consistently contribute a portion of income to missions. This is a small but meaningful litmus test for churches to decide whether they might be equipped to purchase a property and take on a church loan. Although they might seem unrelated, missions giving often indicates sound financial practices and healthy financial position, both of which are integral criteria when qualifying for church financing. When paired with healthy budgeting practices and a humble leadership team, church loans can be extremely helpful in facilitating necessary expansions or improvements to church buildings. However, it is important for church leaders to be aware of these various dynamics in institutional lending before taking on a church loan. Ultimately, the amount and structure of the debt should position the church to effectively pay off the loan and, most importantly, enhance the church’s primary mission: sharing the gospel.